Come along to the community information session to find out more and discuss the draft design with Yarra Council officers. Where: Rushall Reserve, North Fitzroy, When: Saturday 7 May from 10am-12pm. I support The City of Yarra’s proposed design including the path alignment and fence, which allows existing uses, including dog play, to continue. 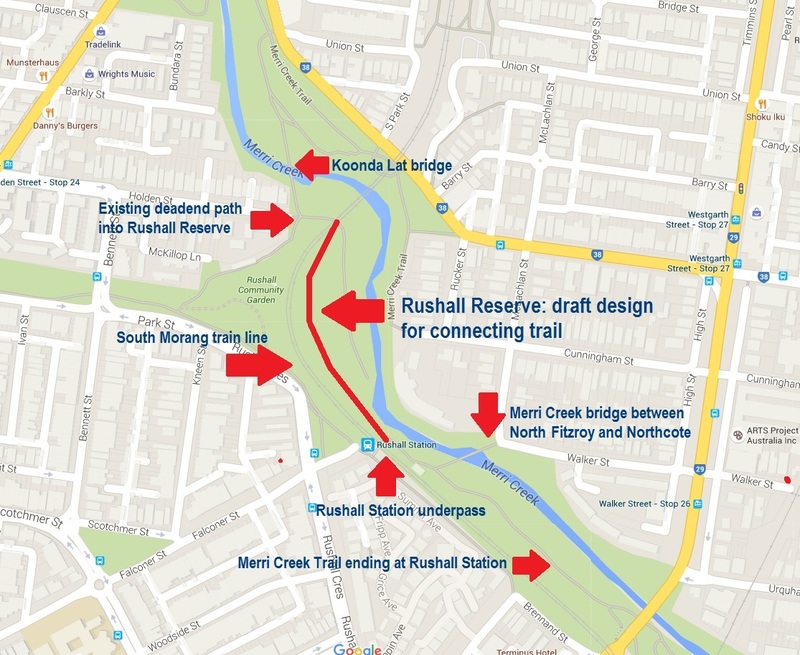 Combined with the new ramp already being built at Coulson Reserve, the proposed path will effectively link Clifton Hill with far-North Fitzroy. Please build the path to share the park.